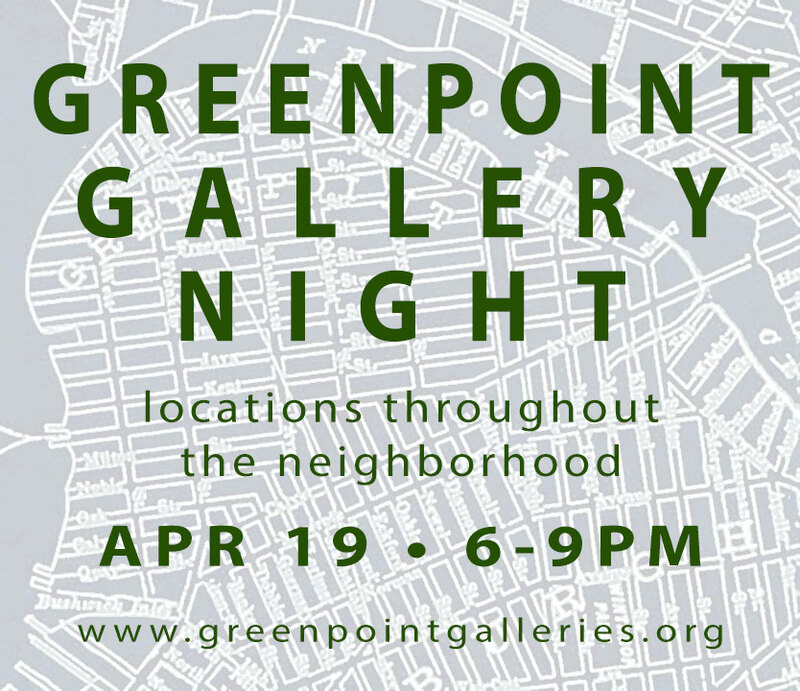 We are pleased to announce the 14th edition of Greenpoint Gallery Night, the twice-a-year gallery crawl highlighting exhibition spaces throughout Greenpoint. Select neighborhood galleries and businesses that feature art will be participating on April 19th, from 6-9pm. Please join us in celebrating the diverse and unique art scene in this corner of Brooklyn. Afterparty begins at 9pm at The Diamond (43 Franklin Ave) with happy hour deals from 9pm-11pm. Visit www.greenpointgalleries.org for more information and a custom Google map to help navigate the event.